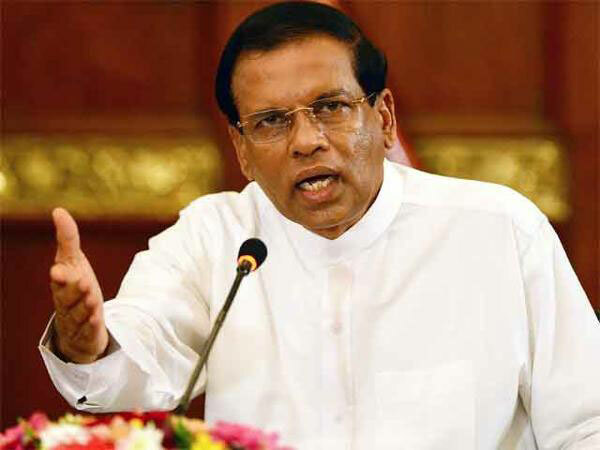 President Maithripala Sirisena has instructed authorities to conduct an impartial inquiry into the death of two university students in Jaffna and report to courts. The incident is believed to have taken place at around 11.30pm on Thursday when the two youths were traveling on a motorcycle towards Kokuvil. The two Tamil students of the Jaffna University were allegedly shot dead on Thursday night near a police checkpoint at Kokuvil, Kulappidy junction in Jaffna. Though police initially denied the shooting saying they had died in an accident, a post-mortem report, however, found bullets lodged in one of the bodies. Preliminary inquiries have revealed that the police officers at the checkpoint had ordered the youths to stop the motorcycle but after had failed to do so, the policemen had opened fire at them. The student riding the motorcycle was shot in the head causing him to lose control and crash into a roadside wall. They were both killed in the accident. The five policemen, who were manning the check point, were arrested and suspended with immediate effect. They were remanded till November 04 after being produced before the Jaffna Magistrate’s Court today (22). The victims, aged 23 and 24, are said to be third year students in the Arts Faculty of the University of Jaffna and are residents of Jaffna and Kilinochchi. Condemning the incident, the Tamil National Alliance (TNA) has sought an independent investigation into the incident. TNA leader and Opposition Leader R. Sampanthan had notified President Sirisena regarding the matter and requested an impartial investigation into the deaths. The President has instructed the Inspector General of Police (IGP) to immediately investigate the incident. Meanwhile heavy police presence has been reported in Jaffna and surrounding areas in wake of the deaths. A high ranking officer told Ada Derana that additional police personnel have been deployed in order to tighten the security in the area. The Human Rights Commission of Sri Lanka (HRCSL) has also launched an investigation into the deaths.